Il lavoro di Gabriella, sviluppato negli ultimi 15 anni di lavoro tra Olanda e Italia come insegnante, coreografa e performer, si basa su sull’ utilizzo estremamente dinamico di diverse forme del peso e su una visione del corpo come intenso, aperto e sempre in relazione. Attraverso l’esplorazione del lavoro con il partner, il pavimento ed elementi reali o visionari fuori e dentro il performer, propone lo studio profondo di particolari sfumature di peso e di ricerca sul movimento: dal corpo come oggetto al constant flow, dall’inibizione del peso alla qualita’ viscerale alla ricerca delle poliritmie del peso. Elementi fisici, percettivi ed emotivi si incontrano per sviluppare un linguaggio originale, molto fisico e con accento particolare sulla musicalita’, attraversando lo studio di materiale coreografico, di principi di improvvisazione e di contact improvisation. The work that Gabriella proposes is based on an extreme and dynamic use of the weight in its various forms and on a strong vision of the body as intense, open and always in relation. As choreographer, performer and teacher in Holland, Italy and Europe in the last 15 years Gabriella developed a specific and original research on the body that is composed by physical, perceptive and emotional elements which merge together in an original movement language. Her exploration of the work with a partner, with the floor and with real or imaginary elements inside and outside the performer leads to a deep study of the particular nuances of weight and movement research, such as: the body as an object, the constant flow, the inhibition of the weight, the visceral quality and the research of the polyrhythm of the weight. This vocabulary is highly physical and focuses particularly on the aspect of musicality while going through the study of choreographic material, principals of improvisation and of contact improvisation. Italian Dutch based choreographer, Gabriella graduated in the Theaterschool of Amsterdam/ SNDO department for Choreography in 2002 where she studied modern dance, release, ballet, contact improvisation and flying low. 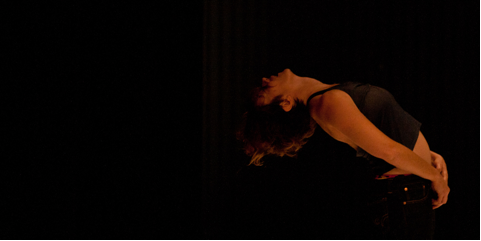 In 2013 she creates her own dance company CLANCARNAL together with Valentina Campora and Adrian Sneeuw. She is often invited to teach in dance academies (ARTEZ in Arnhem, Theaterschool in Amsterdam, CODARTS in Rotterdam, HJS in Amsterdam, IALS Roma, ZONA D Buchaest) and many different venues and festivals (ZIP Orvieto, Dansateliers Rotterdam, Casina settarte, Stalker teatro, Opificio dell’arte Biella, UMBRIA GIOVANI, Bolzano, etc.) her special combination of improvisation, floor work and visionary/carnal approach to movement. “the work of Gabriella is recognized as intense, energetic and full of strong images, brave and deeply original”. You can stay in Spazio Seme even for the night, with the sleeping bag. If there are some special needs, we’ll try to manage at best! The workshop is 95 € if you subscribe until the 10th of october (only friday dinner aren’t included) – 110 € for subscriptions after the 10th of october.